Loving Big Families was recently contacted to participate in a new program to develop a new approach to large family chores and scheduling. As a reader to Loving Big Families, you have the opportunity to join the program to put in your 2 cents about how this new program works, your suggestions, and much more! This is the very early stage of the "product" so I don't have "materials" to send you. I can, however, describe what we are doing and how it's different. What we are building is a family schedule / chore system that will eventually become a full family organizer with calendar, meals, etc. What we have working thus far is a unique weekly chore system / schedule that is easy to manage and fits our style of parenting. I say style of parenting because this is one of the root issues we have with other systems. We need a system that is not based on rewards, stars, allowance, etc. Our firm belief is that the art of living is something each person does for and within themselves, building an internal reward of a better life. It isn't something that requires outside rewards to accomplish, in fact.... the outside rewards (treats, allowance, etc) actually detract from the real lesson here of "learn to do for yourself and others and feel good about that for what it is". The system is designed for the large family, could be an overkill for smaller families with 2 or 3 kid, but of course would work. It is built assuming that it is impossible to capture everything on a "master chart" and instead offers different "views" that each person can use for their particular needs. It is compatible with all ages, although at this early version it does not include graphics instead of words for youngsters. It will, just haven't gone there yet. Our system is also family centric. It assume that there are events during the day when the entire family comes together. That's how we work. For us, it is around meals... the day is organized around set meal times when we all sit down to share our time as a family over a meal. This is inherent in the design, not something you "schedule for," but a basic architectural assumption. 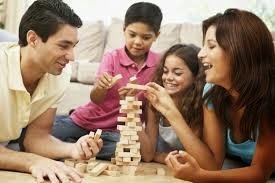 The reward for a efficient well completed job is free time, but the "release" from the schedule is family together time. The system is also designed around set time slots... you decide on the smallest element of time to control (we suggest 30 minutes) and everything is scheduled within that. There is the notion of "task summary and task detail." If the summary task is too small to be a half hour with some amount of free time after, it should become a detail of a larger summary. What this does is set a "summary schedule" that lists what TYPES of things everyone is working on in a given time period (school, chores, outside play, etc) and the details list off for that person what the definition of that is for that particular event. For instance.. 10:00 to 10:30 could be "home chores" while on Monday that means "take out trash, sweep porches", etc. This gives dual views.. family summary view and personal detail view. Both useful and necessary for different reasons. What I am looking for at this point is a few families that would be interested in using what we have now, offering feedback and suggestions, and helping to build the rest of the product. In the business world these would be called "early adopters" of new technology. I am not ready to advertise, have no instructional manuals, no website, nothing. Just a working minimal product for basic usability.